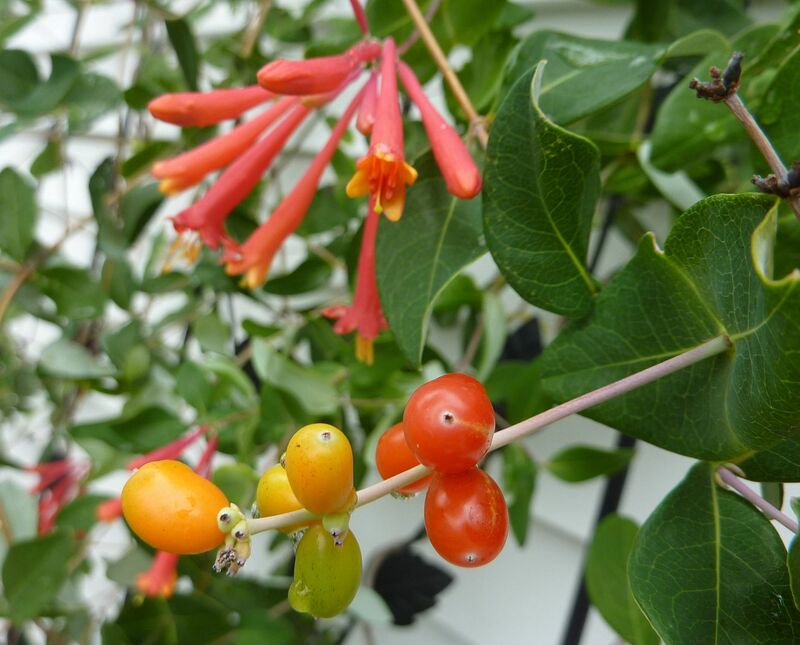 While some gardeners have been searching high and low for fall color this native honeysuckle, Lonicera sempervirens has been flowering since early spring! They bloom early for the hummingbird migration. Afterward, flowering dies down but continues sporadically over the summer. Now that it's getting cold again they're putting on another dazzling show for the migration back. A delightful treat for other birds slowly form on the vine. I can't imagen hummingbirds eating the berries. Hopefully I'll get to photograph what does.